When I first cracked open the package from Motorbooks containing a copy of Porsche: A History of Excellence, I knew I was going to like the book just from looking at the cover. On it was a rendering of the Porsche 918 Spyder prototype. Such a great looking drawing on the book. Crack open the book, and you’re pleasantly surprised with gorgeous photos that span the history of Porsche. It doesn’t stop there though. Randy Leffingwell has been on the Porsche scene for a long time with a number of great Porsche books on his resume. He’s very knowledgeable and a pleasure to read. How did the Boxster come about? Why did Porsche quit racing at Le Mans in 1998? Where did the Carrera GT come from? How did the Cayman get its shape? What was Porsche thinking when it invented the Cayenne SUV? With 60 years of history, there were lots of questions about Porsche. The story of the company on one level is cars, engineering, and design. Within all that is the story of the people who invented, engineered, and designed those cars. It was this story that captivated me when Motorbooks asked me to write about Porsche’s 60 years of making automobiles. 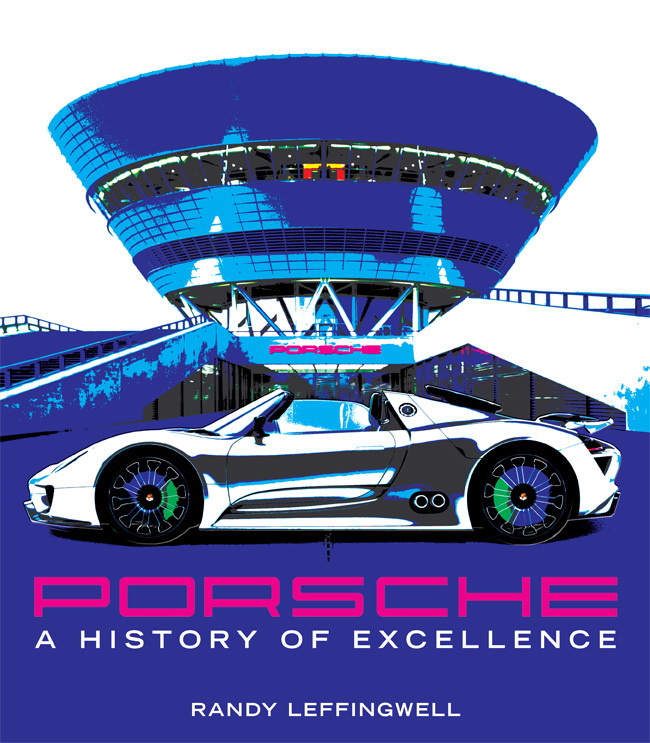 Work I had done on previous Porsche projects, Legends and Perfection by Design, opened doors for me again and on this project I worked closely with newly-named Director of Archives Dieter Landenberger who sat in on nearly every interview. To my amazement, he told each interview subject that they could answer all my questions fully. And then the stories began. On the other side of this project were the photographs. I love the forms, shapes, and curves of Porsche’s vehicles. With the exception of certain unique or nearly unique models, I got to shoot cars for this book that haven’t been seen in books before. The book doesn’t disappoint. I love the photos and tend to judge a Porsche book by the imagery. I’ve flipped through the book a number of times over the past months, and find myself stopping to read portions. I’m easily caught up in the quick reading style and insight I haven’t come across in other books. The best part of this book…it’s one of the titles included in our Ultimate Porsche Bookshelf Giveaway currently in full force. Just sign up for our newsletter, and you’ll automatically be entered. You can read details here: Win A Porsche Library Courtesy of Motorbooks. You can see more of the Motorbooks titles here: Motorbooks.com. 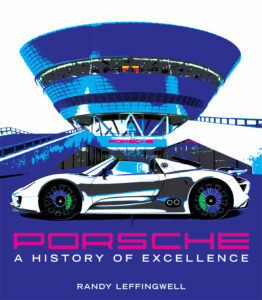 This book is also available on Amazon.com: Porsche: A History of Excellence. @James – I like that idea. Have some questions ready to roll? I’ve got a bunch of stuff to give away.